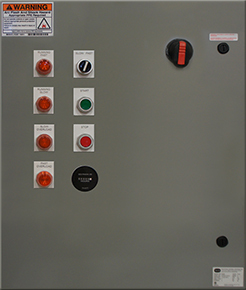 Separate Winding Two Speed Starter - Solution Control Systems Inc. Separate Winding Two Speed Starter - Solution Control Systems Inc. These are two type of two speed motors and the starters are also different. Separate Winding Two Speed Motors have two separate dedicated windings for low and high speed and these motor starters have two contactors to run the motors on low or high speed. These motors are more expensive and bigger in size than single winding motors and the motor starter are less expensive and less complicated.